Supplied in a tray, the pack includes one bag of 227g organic, foil sealed premium ground coffee. 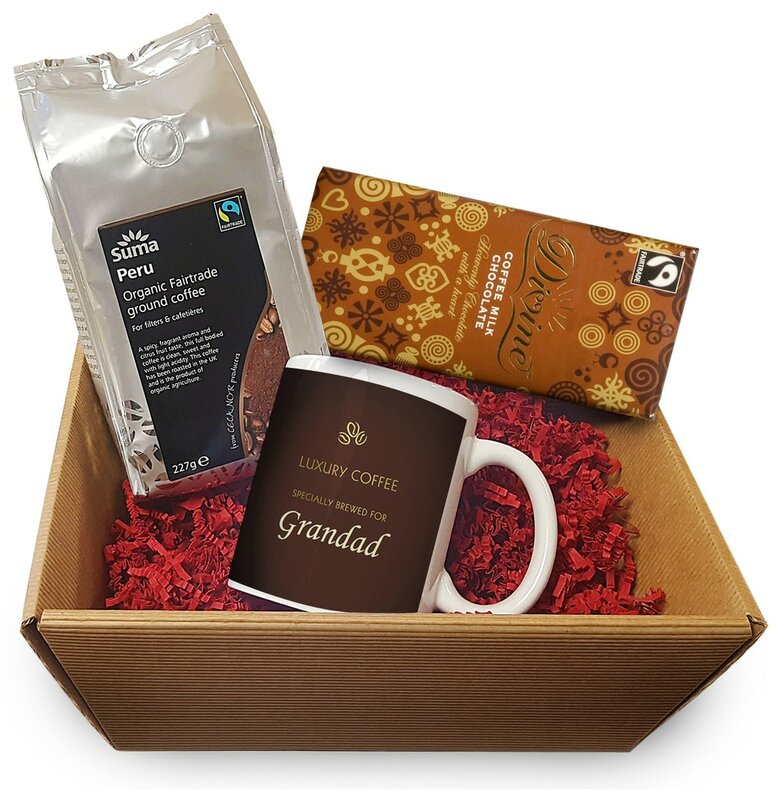 And from which to savour the delicious coffee is their very own, personalised mug in a traditional design. Added to this is a luxurious bar of Divine milk chocolate and you have the perfect gift of indulgence. The 10oz ceramic white mug is dishwasher and microwave safe, scratch resistant and includes any name up to 14 characters printed within the design. A nice little set for the coffee lover in your life is this caddy and matching coffee mug in a traditional design.